8-Bit Hordes and 8-Bit Invaders! will make their way to console! Both of the colorful and fast-paced RTS games are coming to PlayStation 4 and Xbox One digitally, and to PlayStation 4 physically. Their predecessor with modern military units, 8-Bit Armies, is already available for pre-orders on PS4 and Xbox One. 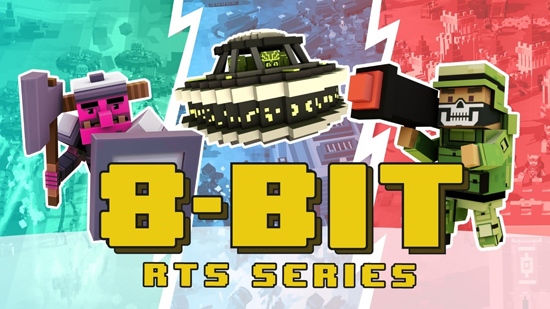 All three games in the 8-Bit RTS Series feature cross-title Multiplayer, which is showcased in a brand new trailer. 8-Bit Hordes is a fantasy themed RTS in which players can storm castles, slay dragons and raid haunted cemeteries. There are two factions to battle with: The daunting Orcs and their undead allies of the DeathSworn, or the brave elves, humans and dwarves of the Lightbringers.